McDonogh quarterback Dejuan Ellis is pressured by St. Frances’ Sterling Cooper as he attempts to throw during the second half of Sunday’s MIAA A Conference football semifinal. Ellis’ pass would be intercepted as the No. 1 Panthers scored the final 42 points to advance to next week’s final at Johns Hopkins University. In contemporary parlance, the undefeated St. Frances Academy football team has it all going on. Simply put, the top-ranked Panthers play on a different level than their peers in the MIAA A Conference, and showed as much in a thorough 49-7 romp over No. 4 McDonogh in the opener of the league’s semifinal playoff doubleheader on Sunday afternoon at CCBC-Essex. The win catapulted the top seeds into the conference championship game next Sunday against No. 10 Gilman at 12:30 p.m. at Johns Hopkins University’s Homewood Field. The Greyhounds pounded No. 12 Calvert Hall, 42-24, in the other semifinal. Gilman School coach said Tim Holley knows that his team will face a huge challenge next week, considering the Panthers’ prowess on the gridiron. “St. Frances is the most physically dominant high school football team I’ve ever seen,” said the former Gilman running back, who has also been the athletic director at his alma mater for the last 24 years and been in the physical education department at the Roalnd Park school for more than three decades. As Holley and everyone else who watched the battle on Sunday, St. Frances (11-0 overall) was too big, too talented, too fast and too much for the Eagles. The Panthers opened the game with an 84-yard drive highlighted by a pair of 12-yard runs by junior quarterback Jalon Jones and a 25-yard pass from Jones to senior wideout Randy Fields, a West Virginia recruit. Junior running back Joachim Bangda swept right end for the final 11 yards to give St. Frances a 7-0 lead after junior Jake Larson’s conversion kick. On the ensuing possession, the Eagles used a 45-yard run by junior running back Jabriel Johnson to set up shop at the Panthers 11-yard line until the drive stalled. 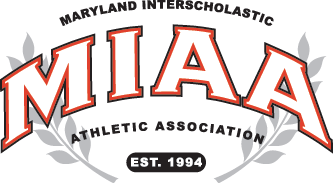 However, on its next drive, a 43-yard completion from senior quarterback Dejuan Ellis to sophomore wideout Dane Swanson gave fourth-seeded McDonogh (6-5) the ball on the St. Frances 1-yard line. Two plays later, Ellis sneaked in for the TD and sophomore Harrison Beattie’s point-after knotted the score at 7-7 with just over four minutes remaining in the first quarter. Jones’ 46-yard strike to senior wideout Kwincy Hall set up Bangda’s second TD run, a 2-yard plunge midway through the second period for a 14-7 St. Frances advantage. Hall broke the game open with a scintillating 82-yard punt return that carried the Panthers to the doorstep at the McDonogh 8-yard line later in the period. McDonogh coach Dom Damico had originally lined his team up as if he was going to go for the first down from the St. Frances 42 rather than punt the ball to the Panthers. After St. Frances called a timeout, the Eagles went into punt formation. Hall said that he has scored on six returns and had a whopping nine others disallowed by penalties this fall. On the pivotal play against McDonogh, Hall, the smallest player on the Panther roster at 5-foot-7, 160 pounds, had to make a quick decision. Hall added that assistant coach Bill McGregor’s blocking schemes that the Panthers practiced last week worked to perfection. By taking that breathing room into the intermission, St. Frances was able to let out a loud roar in a 21-point third quarter that locked up the victory. Sophomore defensive back Jordan Toles picked off Ellis and returned the ball to the McDonogh 14 to open the third period and, two plays later, Bangda barreled in from the 10 to balloon the Panthers’ cushion to 28-7 and the rout was on. Jones scampered 45 yards on St. Frances’ next possession before connecting with sophomore wideout Traeshon Holden for a 17-yard gain to set up the the quarterback’s 1-yard plunge to build the margin to 35-7 midway through the quarter. Senior defensive back Terrell Smith’s interception was the springboard for freshman tight end Joe Bearns’ 11-yard scoring pass from Jones, a Mississippi State commit, with 3:22 left in the period that started a running clock. Sophomore reserve running back Sincere Williams notched the Panthers’ seventh TD of the contest with just over two minutes remaining. Hall said that he does not worry about his team being overconfident for its final game. Kwincy Hall, the smallest player (5-foot-8) on St. Frances’ roster had a huge impact Sunday. The senior had a 46-yard reception to set up the go-ahead score and an 82-yard punt return, setting up another touchdown as the nationally-ranked Panthers improved to 11-0.